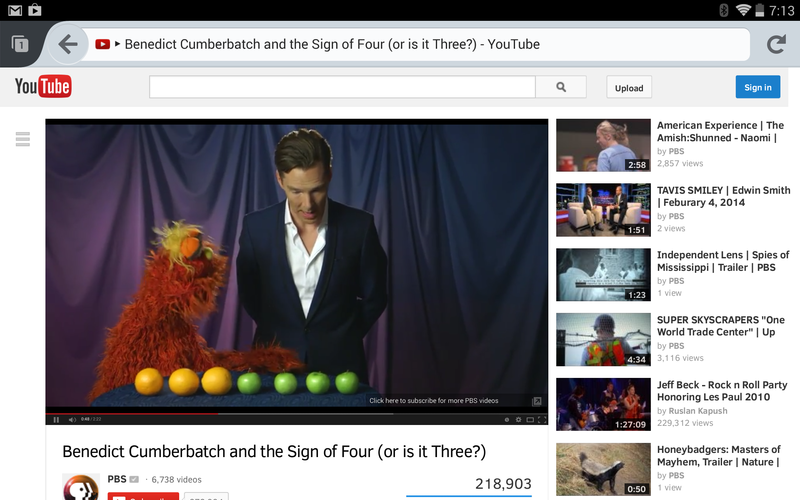 If Chrome isn't cutting it for you, or if you're a die-hard Mozilla fan, or if you'd just like the ability to watch Flash videos every once in a while, the Android version of Firefox is your best bet. 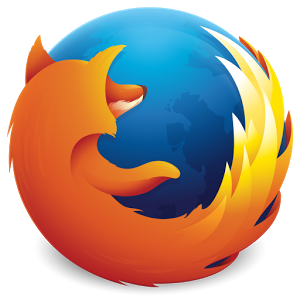 Mozilla keeps coming with steady updates, and the latest fixes an especially vexing problem: Flash support is back in KitKat. (It's still marked as unresolved in the release notes for Firefox 27, but I've tested it on my own KitKat tablet.) You'll still need an archived version of Flash to make the plugin work. Elsewhere in Firefox, the team has added translations for Lithuanian, Slovenian, South African English and Thai languages, plus a default Clear Sans font and a few user interface tweaks to the favicon system. 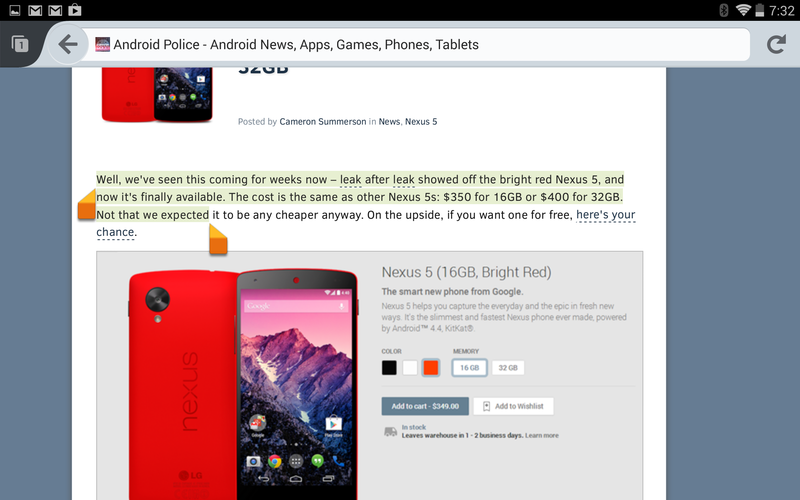 There is no more iOS-style over-scrolling on web content - it's been switched to an Android-standard highlight (that little flash of color you get when you try to scroll past the end of the page). Highlighting text is now a little easier, and security and privacy buffs will be happy to know that TLS 1.1/1.2 is now enabled by default. There are a handful of other additions that will be useful for web developers (most notably WebRTC support) plus the usual security and bug fixes. 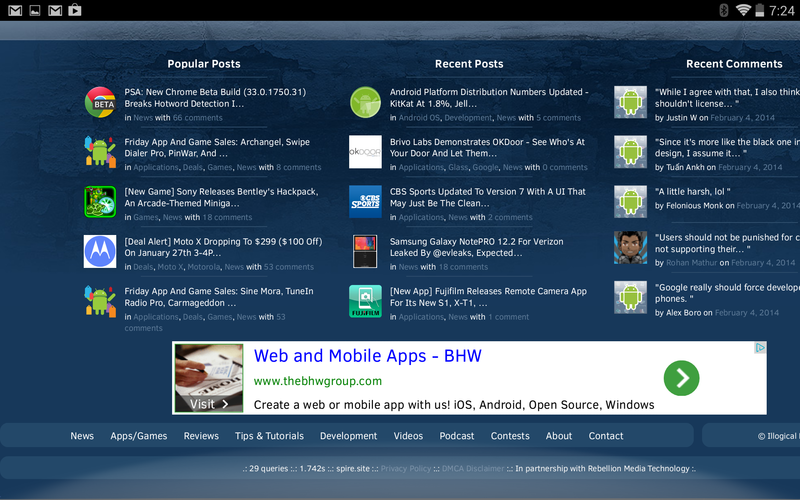 You can check them out with links to the relevant Bugzilla pages in the full release notes. Everyone else, check the widget below to get Firefox from the Play Store.